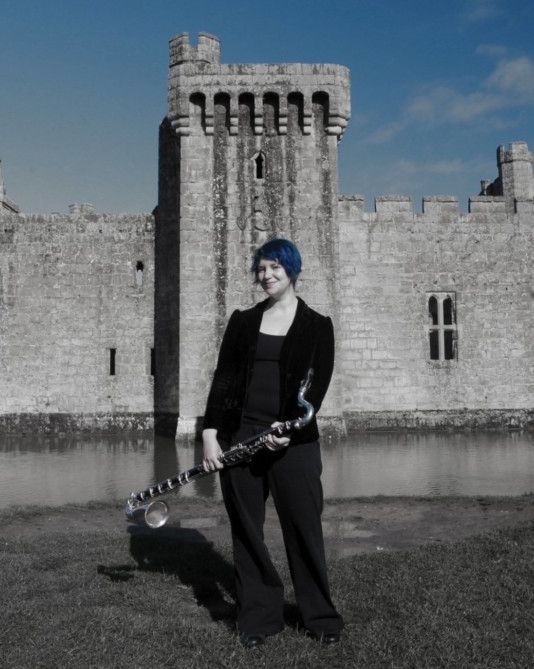 Emily Shapiro is a bass clarinet and clarinet player dedicated to exploring and creating new music. Originally from Canada, Emily pursued her studies across the country, from the University of British Columbia on the west coast, to the Concordia University and the Domaine Forget academy in the east. She has had many incredible teachers, most noteably Lori Freedman in Montreal. Emily has a special love for the sound and scope of bass instruments and constantly pushes the limits of what she can do on bass clarinet. Alongside performing contemporary music on bass clarinet, Emily has a hand in many other musical endeavours. Composing and improvising are central to her career, and she has been an active performer of Balinese gamelan for 10 years. In the past she has also explored jazz and electroacoustics. She is always seeking out new artistic experiences to enrich and motivate her work. Outside of music, Emily loves gardening, running, dyeing her hair blue, drinking her weight in tea and making friends with animals.